So juicy and delicious, this salad satisfies hunger while keeping you light. The best results are born of the best INGREDIENTS. 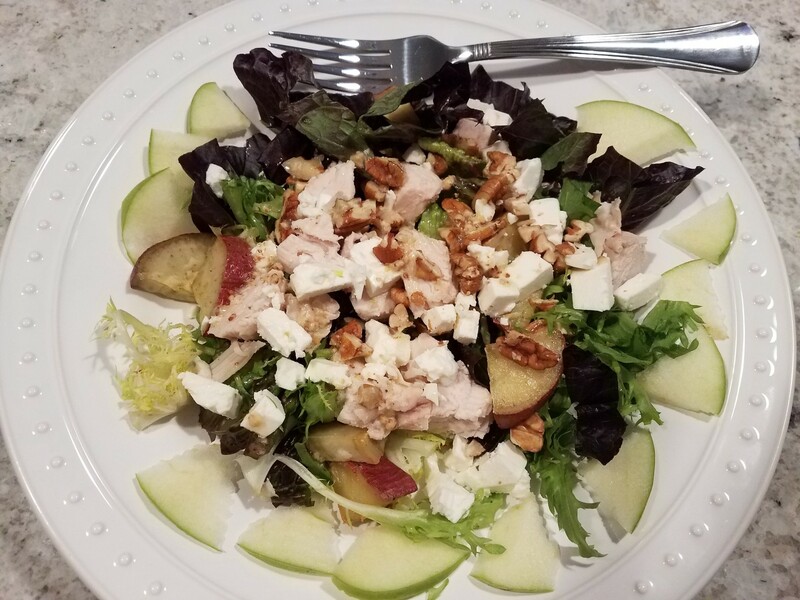 Here is how you can build this salad with options to flow with your ingredients available…. Option: If you aren’t cooking a turkey breast buy the best turkey you can afford, avoiding any processed product with preservatives and sugar added. Begin building your salad by putting greens on the bottom on serving plates; adding and arranging largest to smallest on top…. Greens, Turkey, Roast Sweet Potato, Apple, Feta, Pecans and Lemon Dijon Drizzle.